New Gluten Free Cheerios That Everyone Will Enjoy! This is a sponsored post written by me on behalf of Gluten-Free Cheerios. All opinions as always, are 100% mine. As you may have heard, some select boxes of Cheerios and Honey Nut Cheerios produced over two weeks in July at the Lodi, California plant have been recalled due to a wheat allergen. This recall only affects consumers with wheat allergy, Celiac disease or a gluten-sensitivity. To learn more about the recall, and if your product is affected, please go to: http://blog.generalmills.com/. In April of this year, after a full year of struggling to find answers, our 2 year old was diagnosed with Celiac Disease. He hadn’t gained an ounce of weight in over a year, was not sleeping well, was grumpy and emotional most of the time, and you could tell he was just generally not healthy. Since his diagnosis we’ve changed the way we eat as a family and have seen such a difference in his health, both emotional and physical. The change in how we eat came mostly easy but there were a few things that were hard, like breakfast. Not just breakfast, more specifically finding cereal that was affordable, gluten free, and appealing to a 2 year old has been nearly impossible until now. Now we have options because now our favorite varieties of Cheerios™ are Gluten-Free and we can all enjoy them. 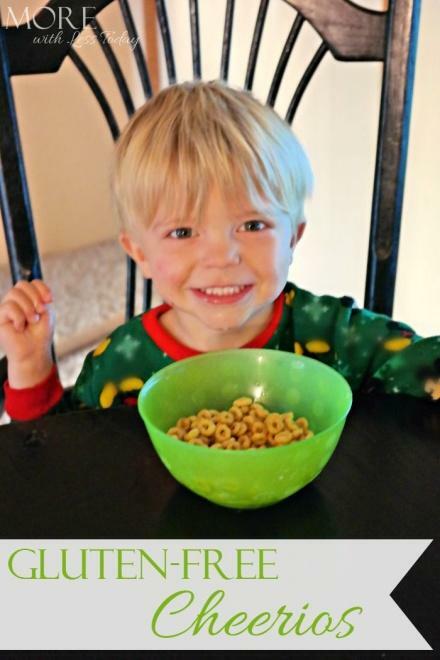 Our little guy loved Honey Nut Cheerios before he was diagnosed and for the first few weeks after his diagnosis he cried for his favorite cereal. When we found out he could no longer have gluten we cleaned everything containing gluten from the house and pantry. 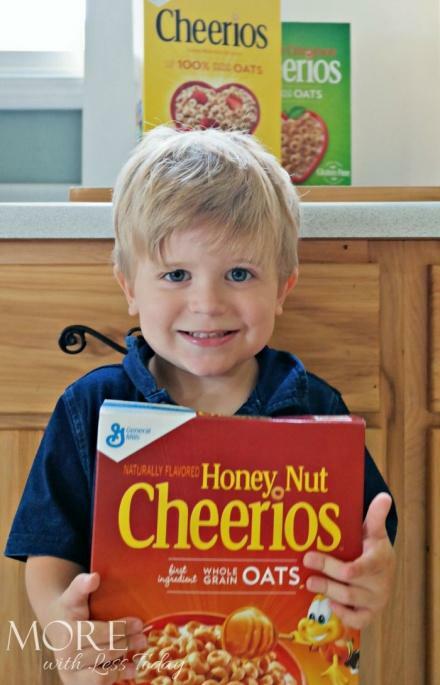 It was such a fun surprise to set out the new Gluten-Free Honey Nut Cheerios™ for him to find in the morning. He was so excited and knew right away what they were! 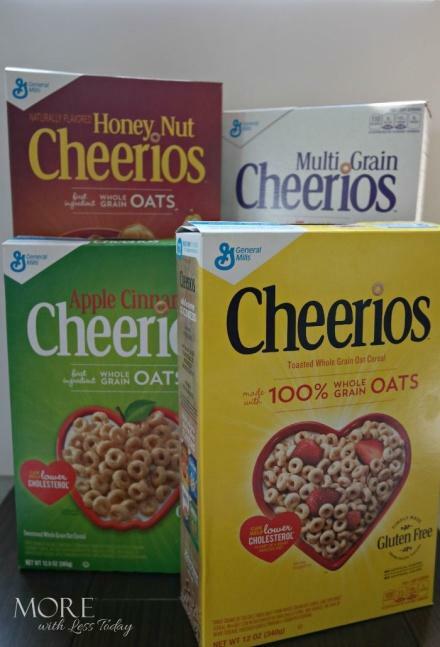 Yellow Box Cheerios, Honey Nut Cheerios, MultiGrain Cheerios, Apple Cinnamon Cheerios, and Frosted Cheerios are all now available in Gluten-Free. Currently about 1% of the population is Celiac and as much as 30% of the population avoids gluten in their diet. It was really important to General Mills to remove gluten from their Cheerios so these large groups could enjoy them too. A dear friend of mine was diagnosed with Celiac Disease as a young adult. While it was tough transitioning our 2 year old to a gluten free diet I can only imagine the difficulty she had as an adult. She had to give up so many things she’d eaten and loved her whole life. She recently told me how excited she was about the new Gluten-Free Cheerios because it had been 15 years since she last had Cheerios, one of her favorite cereals. Last night she tried some of each of the gluten-free varieties Cheerios now offers and she loved them! She said they are as great as she remembers Cheerios tasting. She is excited that they are not only available but that they are affordable too! She has been such a great resource for us as we learn about gluten free living and has made me think of things I never would have thought about otherwise. Her two young sons were both diagnosed with Celiac Disease as babies. She was telling me last night how when they were young they couldn’t snack on Cheerios like most babies do. As a parent I took for granted having Cheerios available for a snack for my little ones and the fact that it’s a great way for babies to develop fine motor skills. She said when her kids were babies they couldn’t have Cheerios and gluten free options that were similar were not affordable. We’re excited that Cheerios are back in our house not only for our little guy who can’t have cereal containing gluten but for all of us. Everyone loves the new Gluten-Free Cheerios and I love that I can now offer this healthy option in our house. You can find Gluten-Free Cheerios by looking for the Gluten-Free seal on packaging. It is beginning to appear in stores now, but will be almost fully available in September. This is a sponsored post written by me on behalf of Gluten-Free Cheerios. This is great news for families living the gluten free lifestyle! Kudos to Cheerios. My kids love Cheerios and like to eat it as a snack. I love the variety of flavors available. I’m so glad your little boy is able to enjoy some Cheerios! 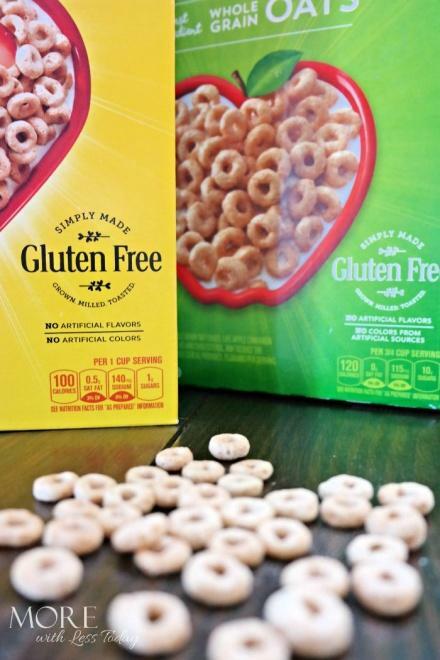 I am so glad to see Cheerios get on the bandwagon with gluten free food. They are so good and now available for even more people. So glad that people who are GF can enjoy Cheerios. They are too good not to enjoy. Cheerios have always been a favorite in our house. It’s nice to see that they now have a gluten free version. I’m so glad they have a GF option now. It is awesome that they are including everyone. WOW! That is super cool. have been staying away from the cereal, but GF might just do the trick – Creal, I am coming back!